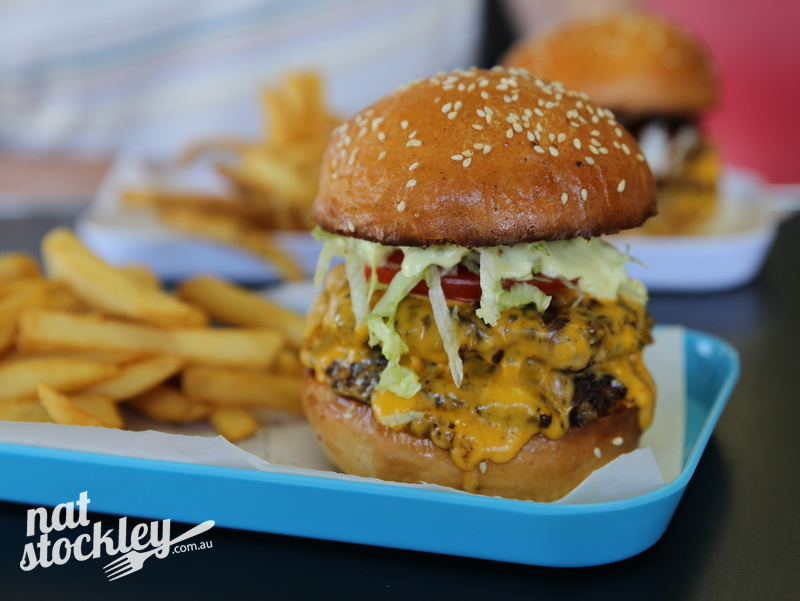 At the risk of sounding like a broken record, here’s a post about another new burger joint. It’s kind of like groundhog day but with ground beef mince. 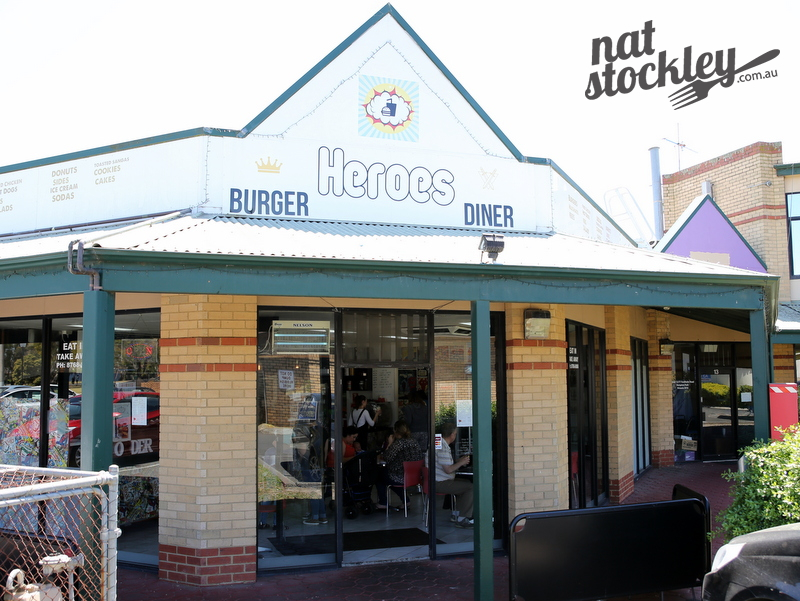 Heroes Burger Diner opened on the 4th July 2015 within the bounds of a business park in Hampton Park. I neglected to ask owner & chef Didier Adela if there were any fireworks, but I guess it did mark an Independence Day of sorts with the launch of his first solo venture. Adela has worked as a chef for over a decade, most recently at Ripponlea Food & Wine. 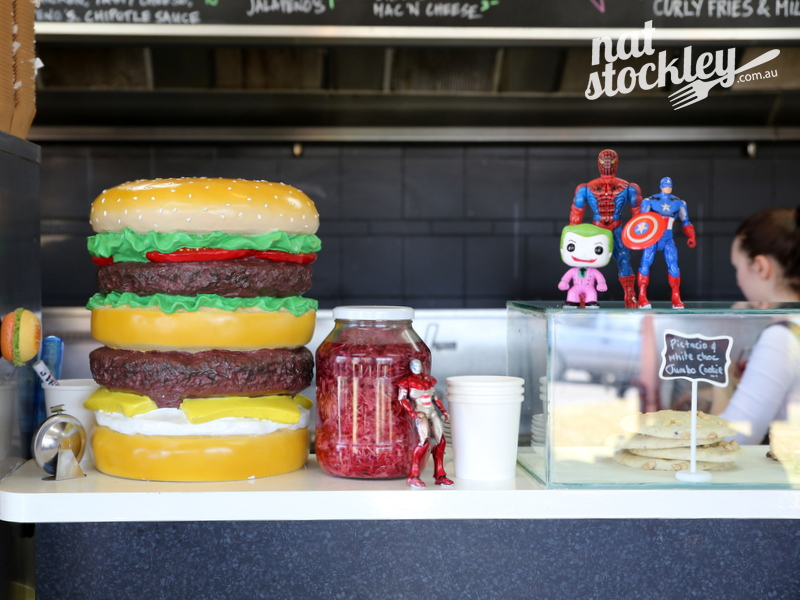 It seems almost mandatory these days that if you open any kind of burger bar, you must have a theme or novel concept to differentiate yourself from the pack. 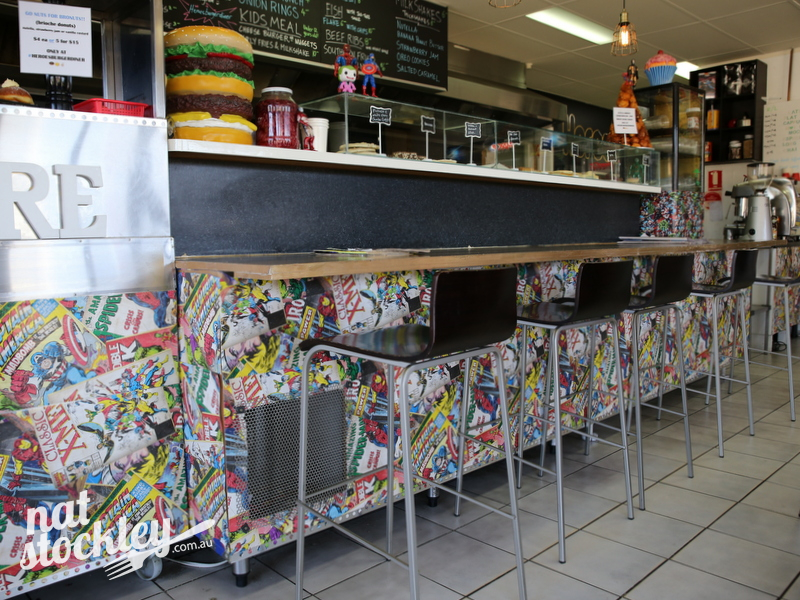 Heroes Burger Diner is all about comic book heroes, especially those featured in the Marvel & D.C comic books. 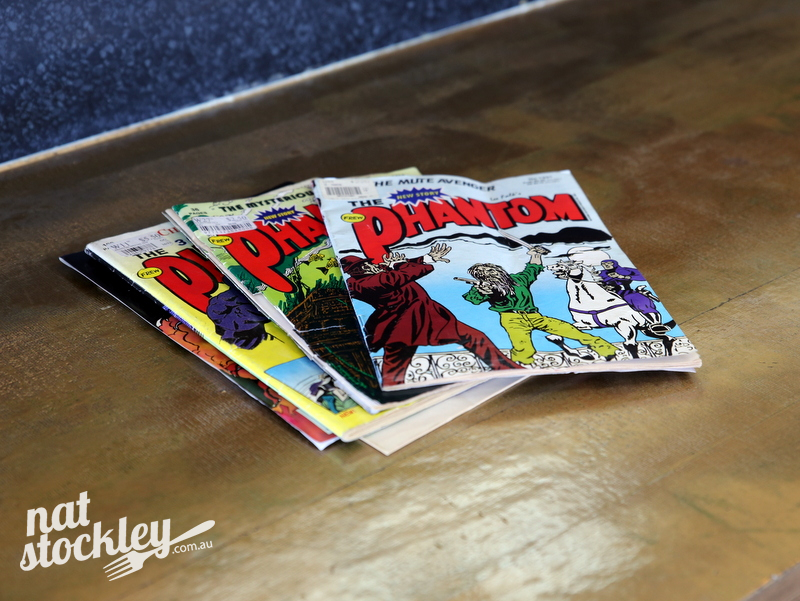 The front counter and many of the walls are adorned with colourful images taken from the comic books and plastic figurines of some of the superheroes are also featured within the store. 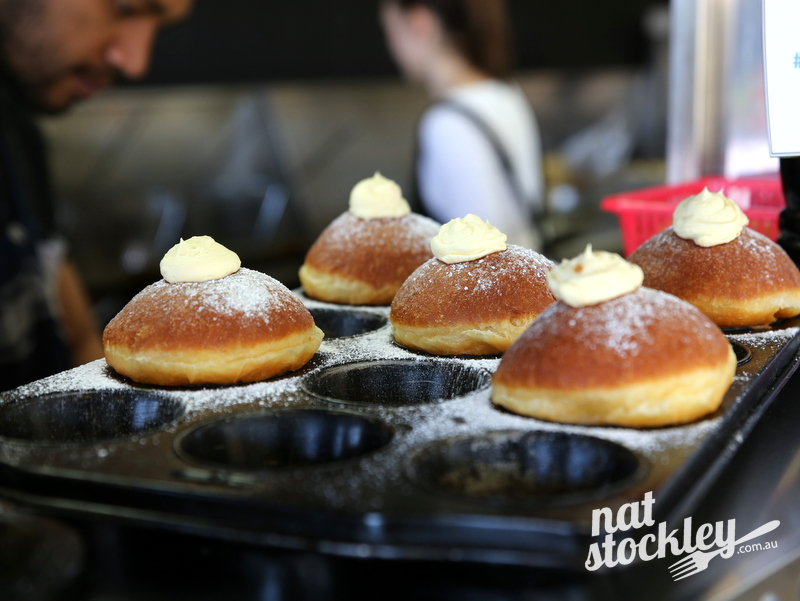 One of the most impressive aspects of this business is that they bake all their own brioche buns in-house. Adela explained that they’ll normally make a batch in the morning and another in the afternoon dependant upon sales. You’d be hard pressed to find another burger joint with fresher buns. 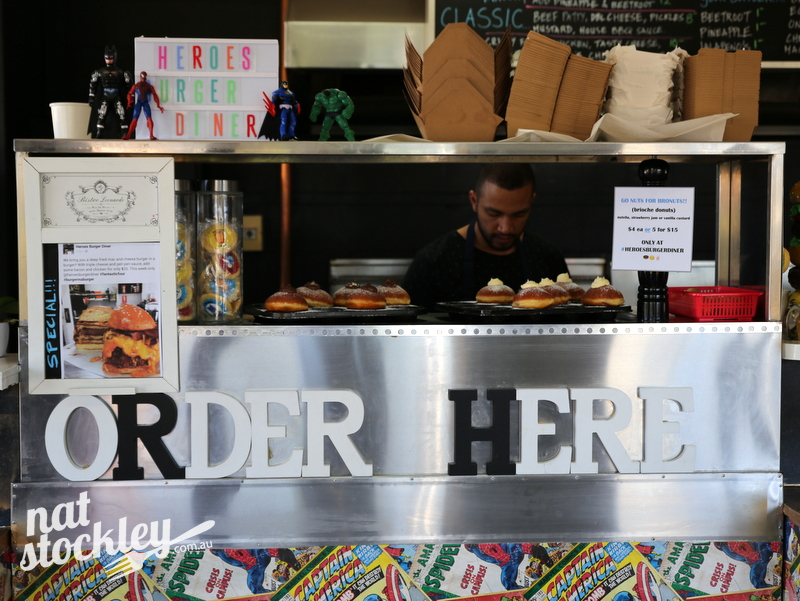 Along with brioche burger buns, Heroes produce brioche donuts (bronuts) fresh daily in store. Fillings include Nutella, strawberry jam and vanilla custard. Getting back to burgers, I order the ‘Big Beef’ which includes a double beef patty, double cheese, tomato, lettuce, hero sauce, pickles and mustard. It looks the goods and is basically okay, but seems to be lacking any wow factor for me. 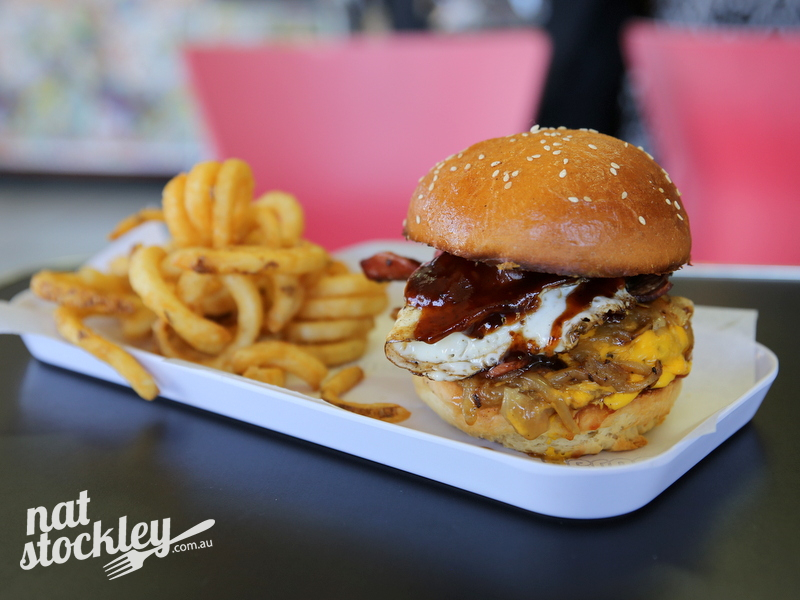 My dining buddy Tim opts for the ‘All Star’ which comprises a beef patty, cheese, bacon, egg, house BBQ sauce, sweet onion, tomato relish, mustard & tomato sauce. He’s experiencing some slippage and difficulties holding it all together but is pretty happy with his selection, telling me he liked the runny egg yolk and good quality bacon. One thing I did note was that the burger patties here are more like rissoles. They don’t add any egg or breadcrumbs to the mince, but they do incorporate a small amount of finely ground sausage mince into the patties to assist with binding. They also appear to add their own proprietary herb & spice blend, as evident by the green flecks seen through the beef patty. 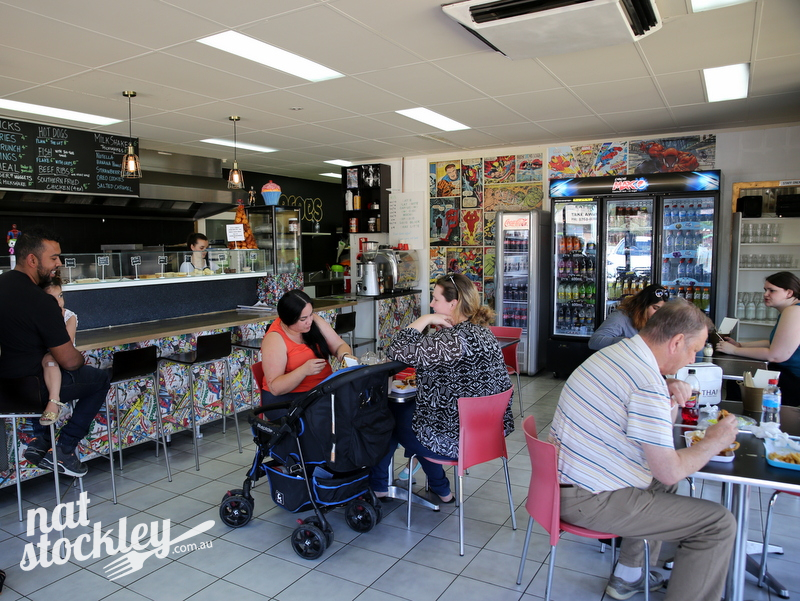 To accompany your burger there’s the option of curly fries or super crunch chips and onion rings are also offered. 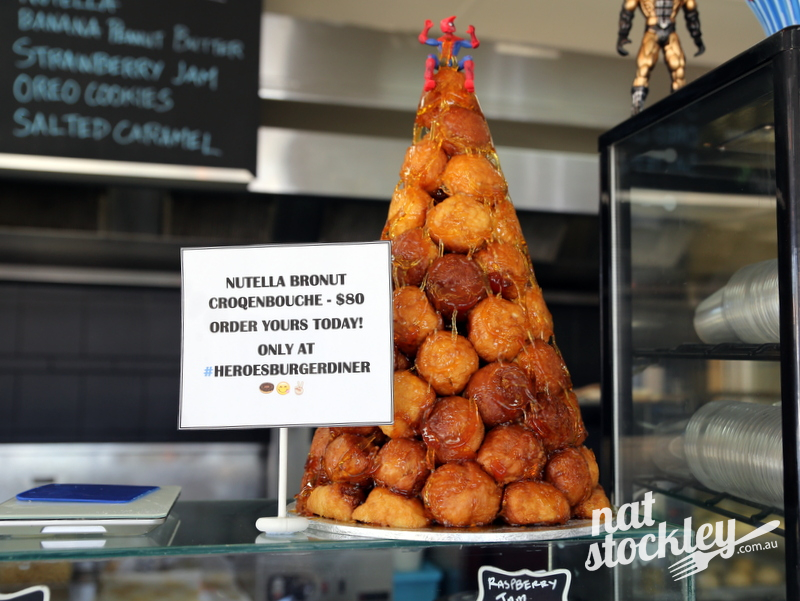 I leave Hampton Park and commence my drive back to Elsternwick with Tina Turner lyrics stuck in my head….. We don’t need another hero………..we don’t need to know the way home…..
It’s a good thing I brought my GPS along for the ride.